As kids get back in the routine of getting to and from school, it’s a good time for parents to discuss traffic safety. The beginning of the school year is a time when children are at an increased risk of transportation-related injuries from pedestrian, bicycle, school bus and motor vehicle crashes. 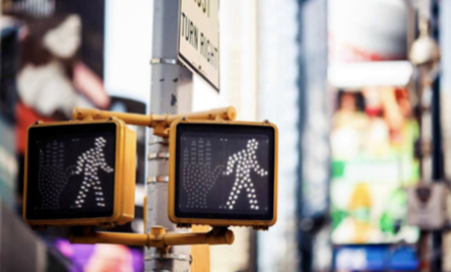 While there has been a downward trend in pedestrian deaths over the past 20 years nationally, there has been a 13 percent uptick among teenage pedestrian deaths since 2013. Statistics show this is in part due to an increase in distraction while teens are walking to and from school. Half of teens asked said they cross the street while distracted by a mobile device, according to Safe Kids Worldwide, a nonprofit in Washington, D.C., focused on helping to keep kids and families safe. Of kids that were hit by a car or almost hit 47 percent said they were listening to music, 20 percent were talking on the phone and 18 percent were texting at the time of the incident. It’s important for parents to talk to their teens about eliminating all distractions not only while driving, but also while walking. Talking on smartphones, texting and listening to headphones while walking is deadly. Teens walking to and from school must be alert. It’s easy for teens to become distracted and lose awareness of their surroundings when using a smartphone or listening to music while walking. Drivers can also be distracted, so it’s really important to teach your child to never assume a driver can see them. Having your child keep a “heads up, phones down” policy while walking to and from school is a good way to help them be aware of what’s going on around them. In addition to distractions, kids and teens should also be reminded to always use sidewalks when available. If a sidewalk is not available, pedestrians should walk on the left side of the street facing oncoming traffic. Also, it’s important to remind your child to always cross at crosswalks when they are available and to wait for the walk signal. Look left, then right and then left again before crossing the street. Continue looking for cars while you cross. Always make eye contact with drivers before crossing at a crosswalk or on a corner. Only cross in front of a school bus when the driver signals it is safe to do so. Do not cross behind the bus or between parked cars, where a driver cannot see you.